Speck Products iGuy Freestanding Case: this is compatible with the latest iPad. It is a free-standing case that offers lightweight foam protection. i-Blason ArmorBox Kido Stand / Case: a hybrid stand & case for the new iPad Mini. It is made from impact-resistant polycarbonate and double-enforced with a shock absorbing silicone inner-sleeve. The case makes carrying the tablet easier. 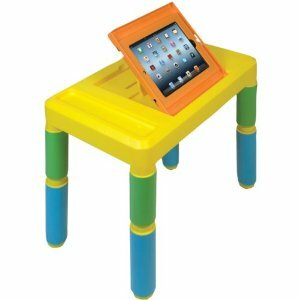 CTA Digital Kids Adjustable Activity Table: holds your tablet safe as your kids play with it. It has an adjustable stand too. 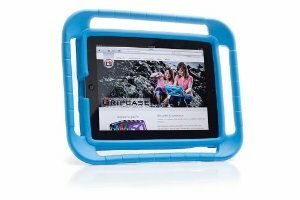 M-Edge-Cases Supershell Case for iPad: it is made from closed-cell foam that absorbs shocks if your iPad is dropped. Your children may or may not drop your tablet on its head. Thanks to this case, your tablet will have a better chance of surviving. 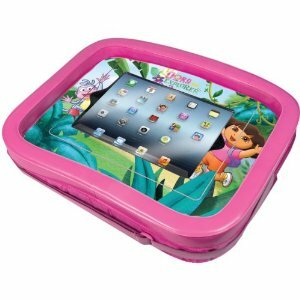 Dora the Explorer Universal Activity Tray: can be attached to strollers, car seats, and high chairs. 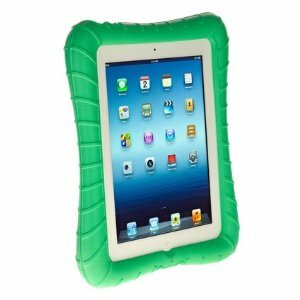 It offers padded protection and has a spill-proof sealed surface. 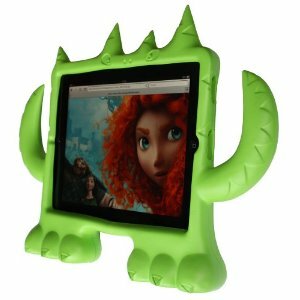 iMonster iPad Cover: a fun looking case for the iPad. It is free standing and kid-friendly. ION iCade Arcade Cabinet: this is useful for older children and adults. 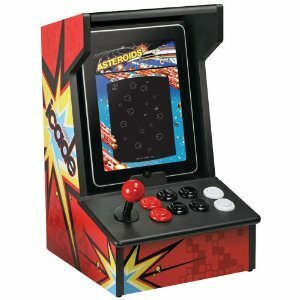 It has buttons and a joystick for your iPad and comes with a free game. Duo Pop for iPad: provides your children with a more fun experience on your tablet. It has games for 2-4 players. GripCase for iPad: makes handling iPads easier. 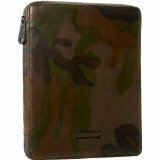 It not only protects your tablet but is resistant to bacteria, UV, and abrasions. 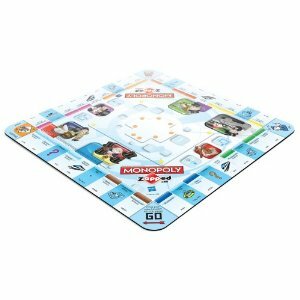 Monopoly zAPPed: makes playing the game of Monopoly on your iPad a lot more fun. A free companion app is available for it too. Other zAPPed game boards are also available. Have you got any suggestions? Please include them below.